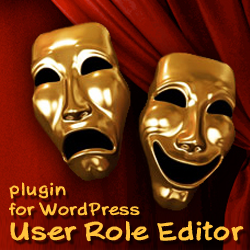 In case you need to block for role ability to post into all categories except one, two or some small subset, and your categories list is large or extended too often, then other code will be more effective. 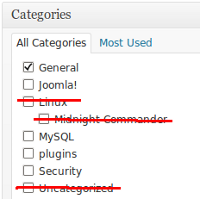 We get full categories list for begin here, then we delete from it those categories, to which we plan to give access. This entry was posted on Sunday, February 19th, 2012 at 00:14	and is filed under WordPress, WordPress Capabilities. You can follow any responses to this entry through the RSS 2.0 feed. You can skip to the end and leave a response. Pinging is currently not allowed.